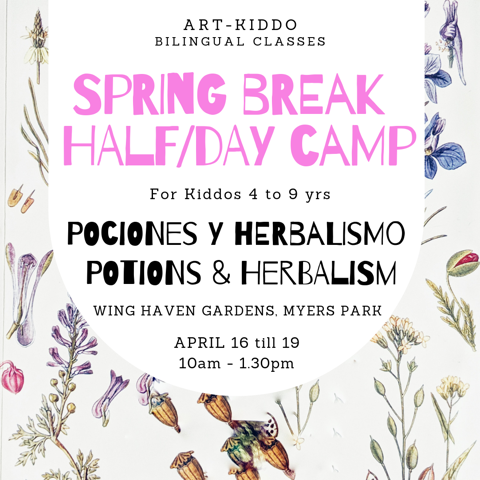 Children will experiment with different reactive and safe materials while mixing their potions and creating goodies to bring home with aromatic herbs. Some of the wild and wonderful activities are: touching, observing, smelling, sharing and learning 5 aromatic plants… PLUS sketching and journaling and painting watercolors. Please contact Sol Feliciano-Gonzalez with any questions.